Brom and Jeffrey Alan Love at Alamo City Comic Con This Weekend! The Alamo City Comic Con in San Antonio, Texas is this weekend! 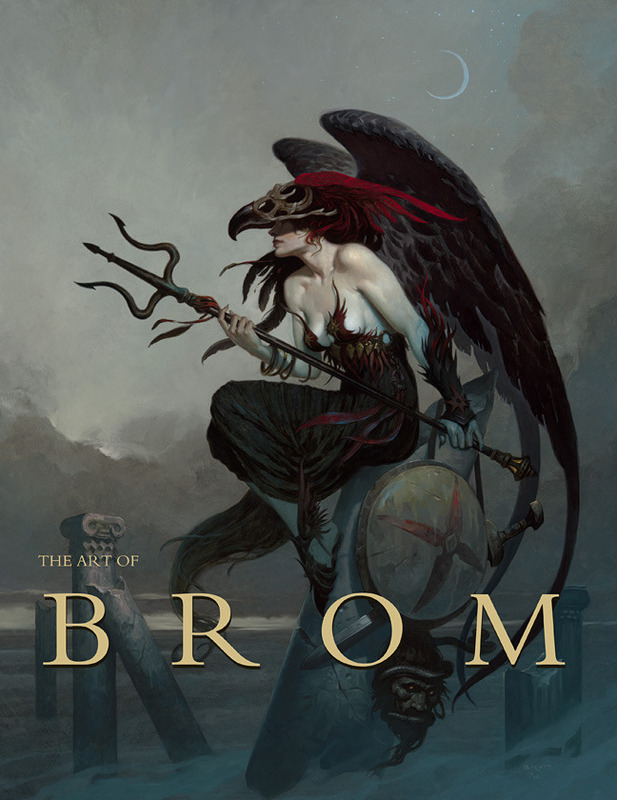 Brom and Jeffrey Alan Love are both guests of the show and will have copies of The Art of Brom and Jeff’s Notes From the Shadowed City with them. 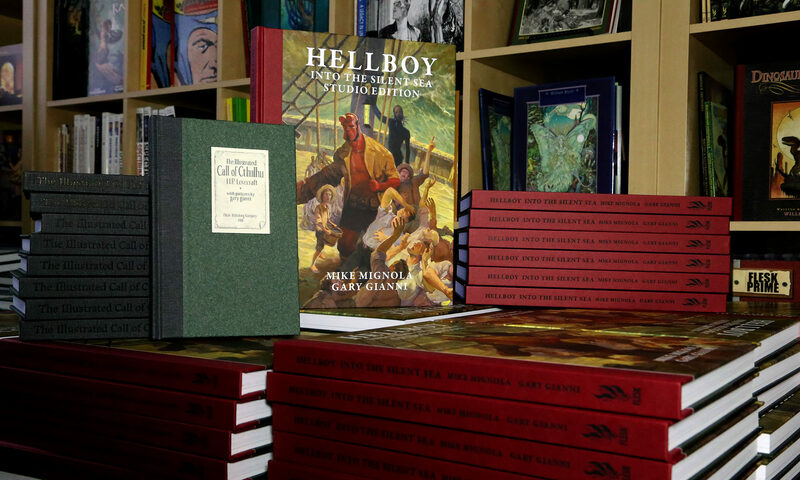 Both of these titles are published by Flesk. These are terrific guys who will be happy to sign your books at the show. John Picacio, who will be a judge for Spectrum 24, is also a special guest who you can meet there. Jeff will be exhibiting about 40 or so small paintings that will be for sale and he will also be taking some in-progress projects to show, like these comic pages, and some other larger paintings. 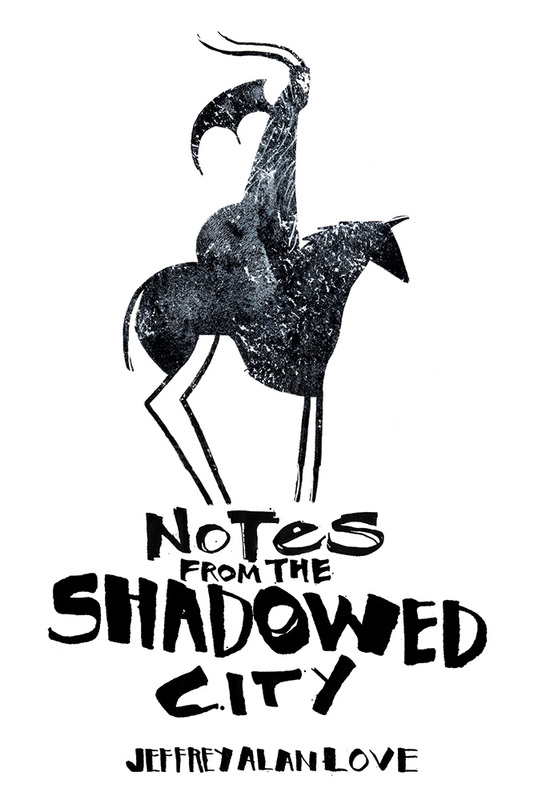 Notes From the Shadowed City by Jeffrey Alan Love Now Available! Now available from Flesk! 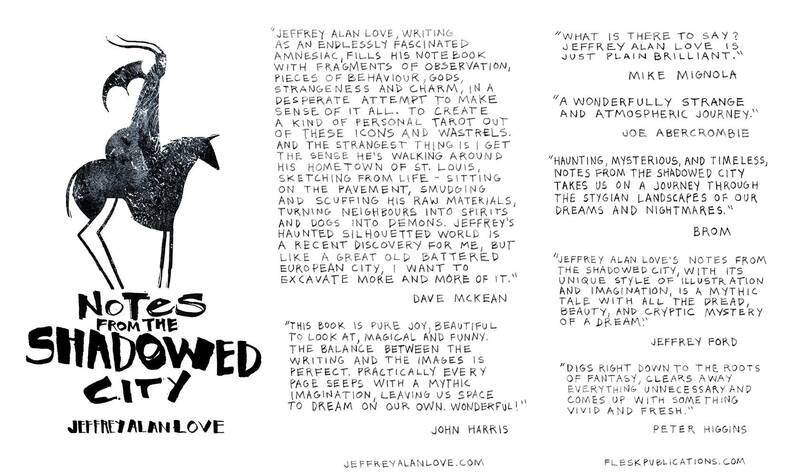 Notes From the Shadowed City by Jeffrey Alan Love. 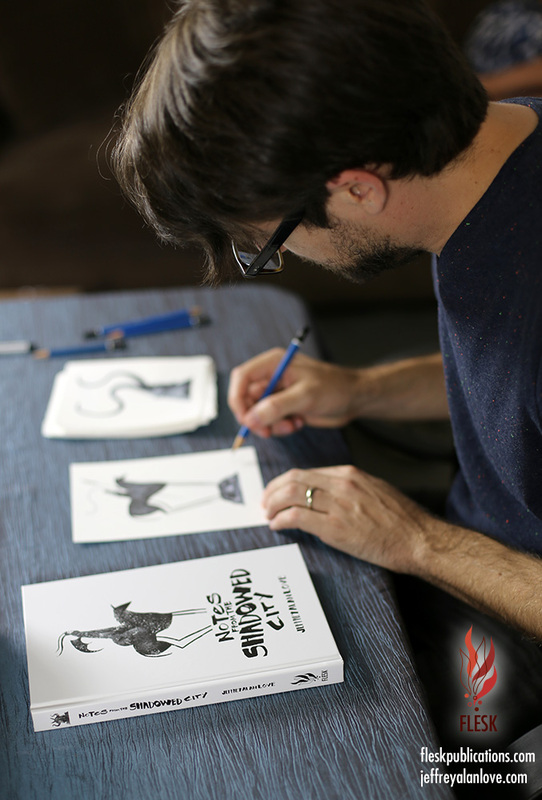 Jeff was at our office last week signing all of the prints. 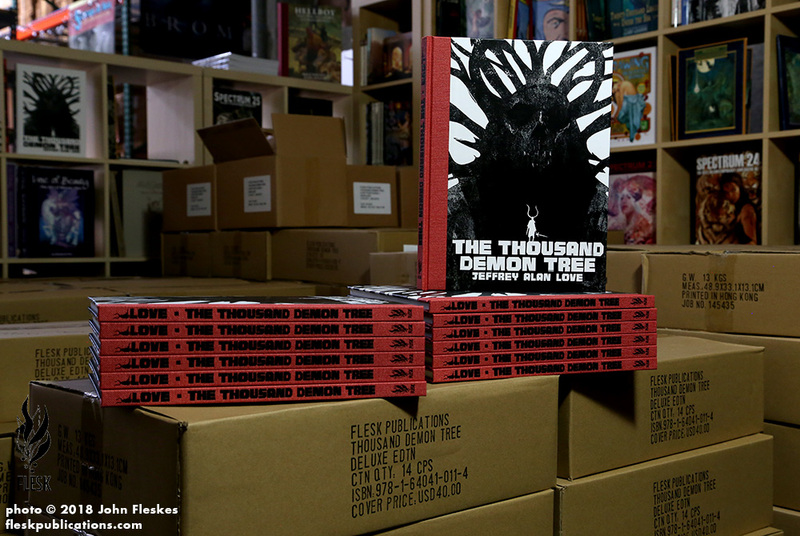 We are shipping all of the pre-orders now. 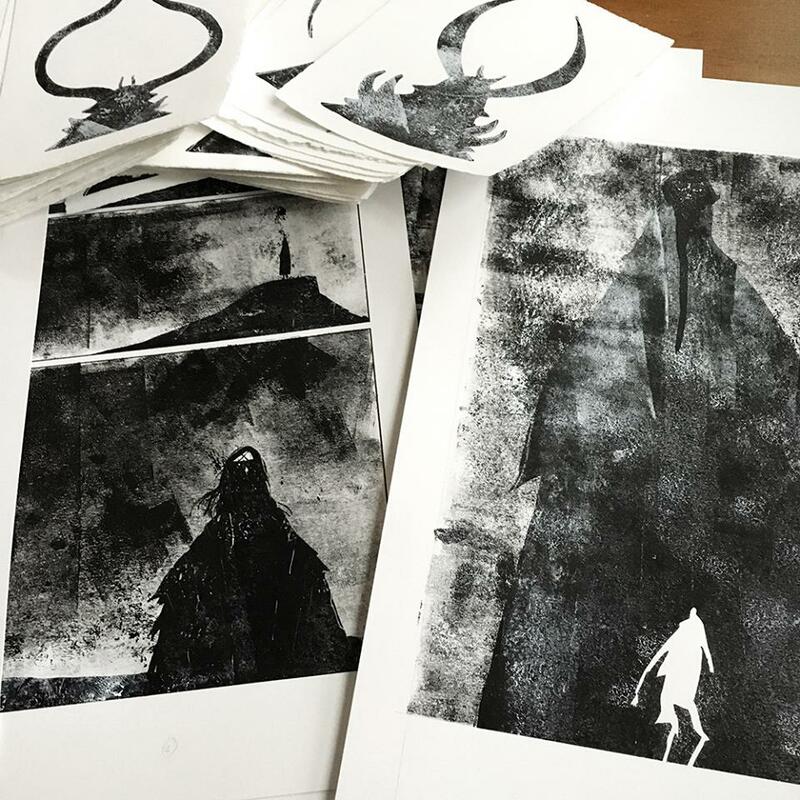 All hardcovers ordered through Flesk comes with a unique signed print. 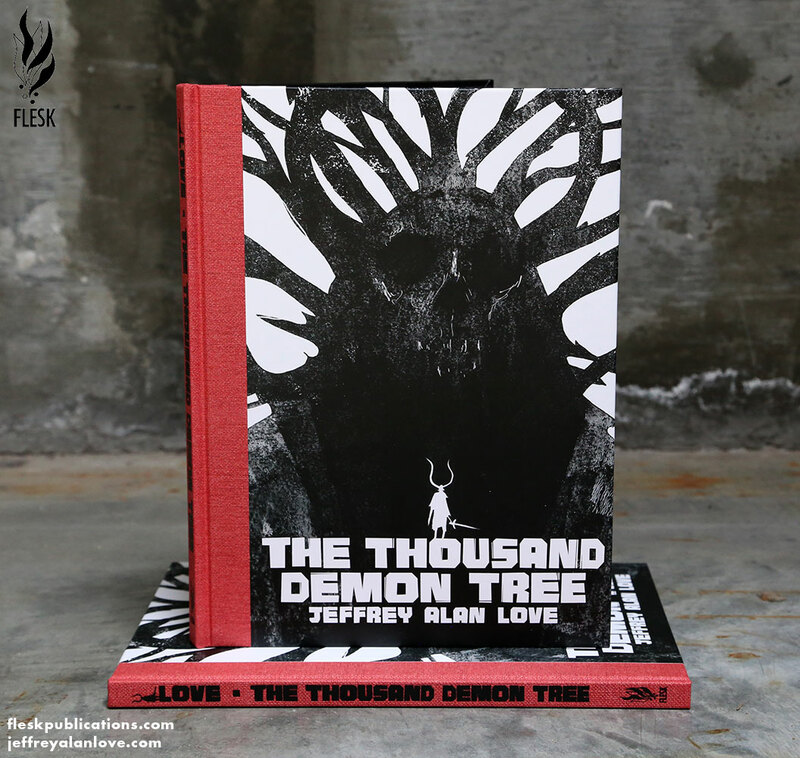 From the imagination of award-winning artist Jeffrey Alan Love comes this illustrated tale of swords and magic, memory and loss, and the overwhelming desire to find a way home no matter the cost. His first book detailing this fantastic journey, Notes From the Shadowed City is told through small moments that create a larger narrative. Love employs his renowned artistry to create a heavily visual narrative boasting more than seventy illustrations, and every spread features his art along with handwritten text—a captivating journal entry that expands into a visual symphony. As you follow in the footsteps of this young man, you’ll be intrigued to seek out the Shadowed City. 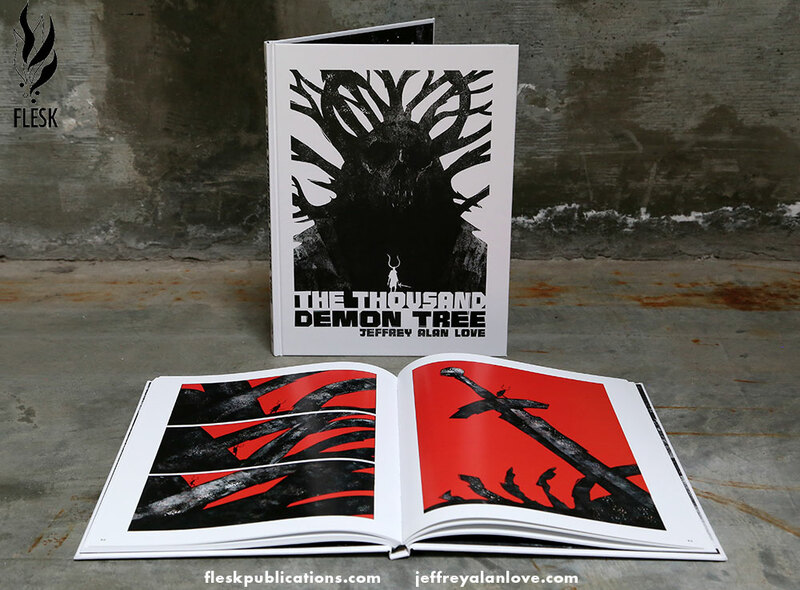 You can order the book at the Flesk website here. Text copyright © 2016 John Fleskes. Artwork © 2016 Jeffrey Alan Love. All Rights reserved.